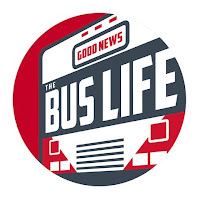 I need some feedback from our Good News Bus followers and readers. For the last year or so we have been contemplating doing a Tumbleweed Tiny Home build. We would film the entire process through our film company Lug Nut Films and put the project up on YouTube in a series of episodes. It would be quite the undertaking but anyone would be able to watch the video and have a step by step guide to building their own tumbleweed home. I have just set up a new YouTube channel that would be home of the new episodes. At the end of the project the newly build Tumbleweed Tiny Home would be available by auction or purchase. i would watch every episode. I have yet to find a good step-by-step guide to complex issues like plumbing and solar power setups. I would love to see it! Please do it! I am interested in doing this myself. I would like to build one myself so yes it would be great to see you do it. Yes, what a Wonderful idea!!! I would love it if you did. I think that would be so valuable to people like my hubby and I who have the desire but are overwhelmed by the unfamiliarity of the task!! Great great idea!! I enjoyed watching/reading throughout the good news bus build. Nice work, nice pictures, and nice explainations. Put that into this tiny home build and you would have another winner. I used your bus build to fuel ideas for my RV build. 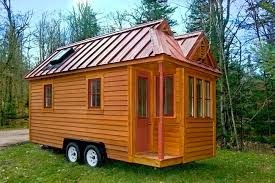 My daughter and son-in-law would love to have a tiny house guide to assist them in building their tiny home. We live in the panhandle of northern Idaho and would absolutely love to watch a tiny home build that incorporates cold weather options that work. Good luck and God Bless. We look forward to the build.